Pakistan cricket selectors have excluded Mohammad Hafeez from the South Africa Test series. The national selectors have once again ignored senior batsman Mohammad Hafeez for the two-match Test series against Sri Lanka in the UAE later this month. 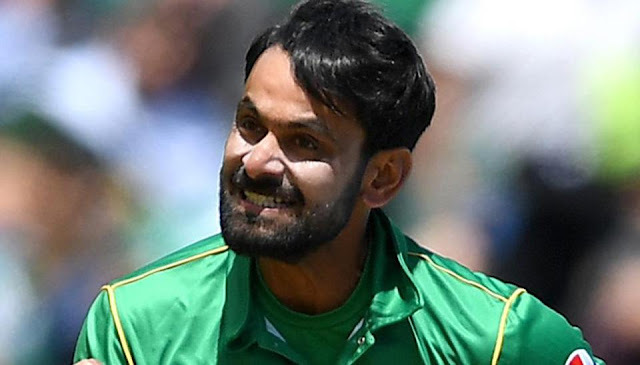 Hafeez, who was also dropped for the Independence Cup T20 series against the World XI, has not been called for a short conditioning camp, starting from September 19 in Lahore, for the upcoming Test series. While selectors have ignored Hafeez, 36, who has a batting average of 39.22 in 50 Tests, they have called up openers Ahmed Shehzad, Sami Aslam and Shaan Masood for the training camp. Masood has a batting average of 23 in 10 Tests and Aslam has a batting average of 33 in 11 Tests. Hafeez last played a Test in England last year in August at Birmingham before sustaining fitness and injury problems. He was also banned for an illegal bowling action last year but was eventually cleared by the ICC. But despite being cleared, the selectors ignored him for T20 cricket. The selectors and the team management are talking about grooming youngsters after the recent retirements of batting stalwarts -- Younis Khan and Misbah-ul-Haq -- from Test cricket. However, they recalled left arm-fast bowler Wahab Riaz, while Muhammad Aamir, who missed the Independence Cup matches due to the birth of his child, is also now available. The selectors have also included three spinners for the training camp including leg-spinner Yasir Shah, who was awarded the best Test player of the year by the PCB this week, off-spinner Bilal Asif and rookie left-arm spinner Muhammad Asghar. The 18 players invited for the camp: Azhar Ali, Shaan Masood, Ahmed Shehzad, Sami Aslam, Babar Azam, Asad Shafiq, Haris Sohail, Usman Salahuddin, Sarfraz Ahmed, Muhammad Rizwan, Yasir Shah, Muhammad Asghar, Bilal Asif, Wahab Riaz, Muhammad Aamir, Hassan Ali, Muhammad Abbas and Mir Hamza.